SMU Ardiente is a dance club that specialises in five Latin dances – Cha-Cha-Cha, Samba, Rumba, Paso Doble and Jive. As a young club, established in 2008, Ardiente has successfully introduced Latin Dance to the SMU student body and continues to excel in the various tertiary and international competitions and showcases. Ardiente continually provides platforms for its members to hone their Latin Dance skills and fine craft their art. We hope to share this passion, bringing about a greater appreciation for Latin dance to inspire the local community. SMU’s only contemporary dance club was founded in 2006 with the aim of inspiring and nurturing dancers to be passionate and proficient at contemporary dance. Since its inception, the club has gone on to represent the SMU at both local and international dance festivals and competitions. The club achieved the top placing in the contemporary dance category at the recent Barcelona Dance Grand Prix 2014, a testament to the club’s growth through the years. Back on campus, the club was awarded the SMU University Student Life Arts Excellence Award 2010 and Outstanding Achievement Award 2011, a testament to the dancers’ continuous pursuit for excellence. SMU’s only standard ballroom dance club, SMU Ballare, was established in 2008, and has gone on to excel in notable dancesport competitions both locally and internationally. SMU Ballare competes and performs in five dances: the Waltz, Quickstep, Foxtrot, Viennese Waltz and Tango. Under the guidance of resident instructor Melvyn Low, SMU Ballare has grown from strength to strength, recruiting dancers with little or no dance experience and training them to become part of a professional team, always striving to do their best. SMU Ballare is committed to give anyone who wishes to dance an opportunity to do so, and provides a safe, encouraging and collegial environment for members to hone their skills and build friendships. Established in 2001, SMU Eurhythmix has been grooming talented dancers in our trademark street style since its inception. As the official hip-hop dance club of Singapore Management University (SMU), we strive to be a premier tertiary hip-hop dance society known for our professionalism, showmanship and technicality. SMU Eurhythmix has earned accolades for our accomplishments, especially in our past productions. We hope to continue this success under our resident choreographer and artistic director, Gin Lam. 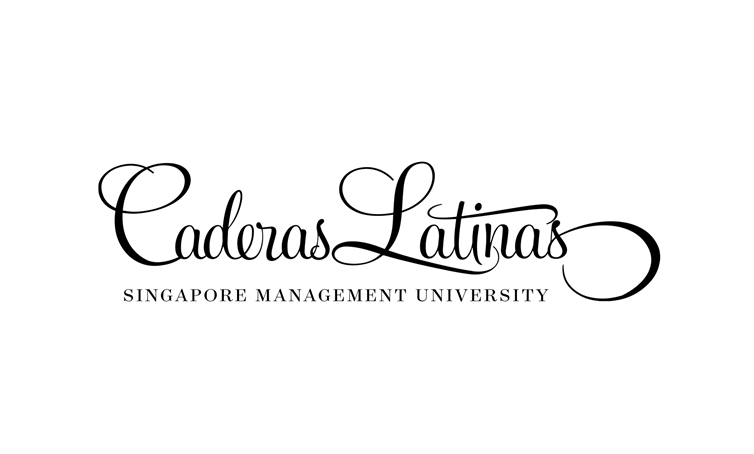 Founded in 2004, SMU Caderas Latinas is Singapore Management University's salsa performance team. We have established ourselves as one of the most recognisable student performance team in the local salsa scene. SMU Caderas Latinas regularly holds workshops and social dancing events. We also perform in various university-wide and external events and hold our annual production: BAILAMOS. Besides performing, our members also take part in competitions, namely, the annual Inter-tertiary Salsa Competition (ITSC). Our club has also been to many countries to perform and compete, most recently we won champion at the Barcelona Dance Grand Prix and have been to countries such as Italy, Spain and Germany. SMU Funk Movement (SMUFM) is a street dance club with a specific focus on funk styles, mainly Popping and Locking. Keeping in line with the original culture of these styles, SMUFM focuses on "freestyle" - the idea of learning foundations and techniques, to be applied when you dance. Hence each person can create their own unique expression to the music. SMUFM was created to bring the best values and ideals of Singapore's wider street dance community right into SMU. This is why all members are expected to live by our core values: respect, humility, and discipline. SMU ARTdicted is the University’s visual arts club, which was established in 2004. As of today, the club has grown to include more than 80 members. We celebrate the inclusive nature of art by facilitating numerous workshops and art jams encompassing various forms of art, such that experiential opportunities are given to students to appreciate its beauty. Our annual art exhibition, Voice, offers the SMU students an opportunity to express themselves through art forms and showcase their creativity. SMUSAIC is many things to many people. It is the eyes and brains of a critical but supportive and nurturing entity; it is a source of confidence to take on our dreams; it is the stretch we need for our personal abilities and boundaries. Since our formation in the early days of SMU, we have remained committed to promoting photographic literacy, passion and appreciation. Through a wide variety of events, we seek to provoke and inspire styles, visions and purpose in photography. Our activities stretch over a medley of photography styles, from studio and street to photojournalism and portraiture. All this is possible only with the commitment and contribution of an inspired team. The Singapore Management University (SMU) Chamber Choir was formed in May 2007 by five enthusiastic choristers who were invited to represent SMU in the Singapore Chorus of Russian composer Vladimir Martynov's 'SINGAPORE' Symphony, held at the Esplanade Concert Hall. The Singapore premiere was graced by President S.R. Nathan and Minister Mentor Lee Kuan Yew. Since its commencement, the Choir has grown in strength and is one of the most prestigious arts clubs in SMU, having been inducted into the University's Arts Excellence Programme. With its young and vibrant group of music-makers, the Choir continues to advance in its journey towards music excellence. SMU Ivory Keys was formed in 2007 by a group of SMU students who incidentally shared a love for the piano. One thing all of us have in common: We aim to build a community of passionate, committed pianists with a mutual love for music and the piano; and to share our music with people from all walks of life. Our formal productions include mostly classical duet works. This is to encourage students to play together, learn from each other and to provide them with more stage exposure. We also have informal productions playing a range of pop, jazz, and anime piano works. Samba Masala is Singapore Management University’s resident percussion group and one of the few Samba percussion groups in the small city of Singapore. Within the relatively nascent scene local Samba scene, Samba Masala specializes in Afro-Brazilian music with an ethnic twist featuring the Indian Dhols. In the local scene, we have participated in an array of performances that include street busking, event openings and corporate gigs. On an international scale, Samba Masala has made its footprints across stages in Ireland, Los Angeles, Coburg and London.On the back of Samba Masala’s participation in the International Samba Festival in Coburg, Germany, the members envisioned an idea whereby a similar festival could be brought to Singapore’s shores. The passion for music brought together a student group of Chinese Music enthusiasts on a mission to proliferate an appreciation of Chinese instrumental music in the exciting arts sphere of Singapore Management University (SMU) through the introduction of SMU Chinese Orchestra (SMUCO). SMUCO is currently under the baton of Mr. Quek Ling Kiong, Resident conductor of Singapore Chinese Orchestra and Conductor of Singapore Youth Chinese Orchestra. 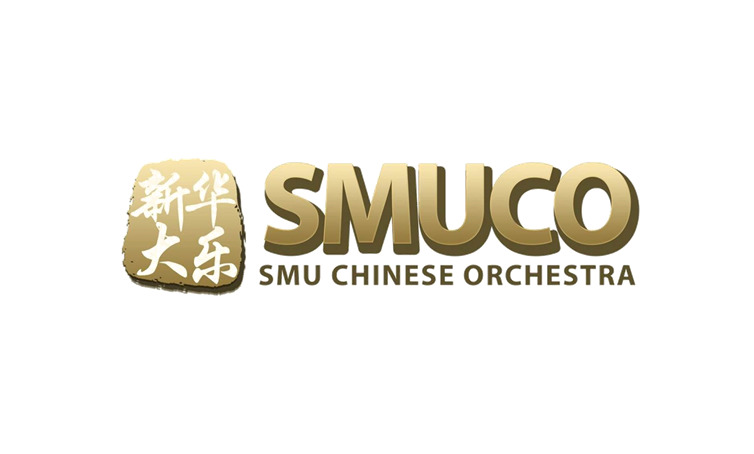 With a vision to become an orchestra that embraces both traditional and contemporary repertoires, SMUCO provides an environment conducive for all music enthusiasts in SMU to learn and play ethnic instruments and is on a constant effort to gain performing experiences through the different opportunities throughout the year. With the passion and the drive for excellence towards music, SMU Chinese Orchestra will continue its journey to strive to be a unique orchestra and becoming the best that we can be. SMU Stereometa is SMU’s premier collective of DJs that not only drops the latest and hottest tracks on the decks but is heavily involved in digital music creation as well. A collective comprising of DJs that spin all-encompassing genres, SMU Stereometa is one of the most active and relevant DJ collectives to date, having featured in high profile clubs like Zouk, Wavehouse, VICE, Alta Ego and Altimate just to name a few. With a wealth of experience in DJing, DMC and organizing signature parties and events, SMU Stereometa is sure to bring the party wherever we go. Established since August 2000 as a Niibori Guitar Ensemble, SMU Guitarissimo has scaled new heights and brought their music actively to the school population. The group derived its name from the words Guitar, and Prestissimo (meaning ‘very fast’ in Italian) and comprises a group of dynamic and enthusiastic individuals with strong passion for classical guitar music. Guitarissimo has constantly excited the SMU Community with their music, and through events like the club’s annual ‘Strings Blended Concert’, has further provided platforms for their talented members to showcase their skills and share their love, heart and soul for guitar-playing. Established in 2003, SMU Broadcast & Entertainment (SMUBE) is the University’s resident student media association. Modelled on leading organisations and best practices in the entertainment business, SMUBE delivers professional media experiences, and develops its members through deep industry exposure. One of the largest and most active student bodies on campus, SMUBE comprises five operational wings which cover the full spectrum of media: the Artiste Management Team, Campus Radio, Campus TV, Events & Backstage, and Marketing & Communications. Members enjoy extensive training from industry veterans such as Fly Entertainment and Nichepro, compete in national radio and film-making competitions, and support major events within and outside the school with the support of the University’s Arts Excellence Programme. SMU StageIT is SMU's theatre club. Through its productions and workshops, the club aims to raise the overall level of awareness and appreciation for theatre among the SMU community . Throughout the years, StageIT has staged the works of famous playwrights, including Kuo Pao Kun, Robert Yeo and Oscar Wilde. Under the guidance of industry professionals, StageIT aims to continue growing as a respectable theatre club, both through reinventing its productions and attracting individuals who share the same love and passion for theatre. Throughout the year, SMU ICS organises pulsating performances within SMU during Arts Fest, Peace Day and ICS organised events and outside of SMU, in public events and competitions, showcasing the vibrancy and diversity of the culture through its variety of performances. SMU Komunitas Indonesia (SMUKI) is the Indonesian cultural club in Singapore Management University (SMU) which was established since 17 August 2004. Currently, the club is running with more than 150 members, SMUKI prides itself in being one of the active contributors to the vibrant student life in SMU. We promote Indonesian fellowship that reflects arts and culture inside and outside of SMU community; as well as fostering a close relationship with the Indonesian community in Singapore through showcasing our diverse traditional dances, music, food and costumes. SMUKI has been invited to participate in various events within or outside SMU and we also have its own annual cultural production, better known as GAYA (Gelar Budaya or Cultural Exhibition). Established in 2001, the SMU Malay Language & Cultural Club (MLCC) has grown by leaps and bounds to where it is today. We aspire to establish ourselves as one of the premier clubs in SMU and a premier tertiary organization for Malay language and culture. We focus on fostering close rapport amongst the Malay community in SMU and creating greater awareness and appreciation of our Malay culture. A recipient of the Best Cultural Club Award for 3 years in a row, SMU MLCC is proud to recognise 2 wings that embody the Malay arts and culture - MLCC Persadamu and MLCC Rentak. SMU Persadamu provides a platform for Malay students to engage the rich use of our Malay language and literature to showcase an annual theatrical production. SMU Rentak is a percussion ensemble that acts as a platform for students to showcase their musical talents whilst promoting traditional Malay music at the same time. Although cultural performances form an integral part of the club, we make it our duty to give back to the society by actively taking part in local community service project(s). SMU Voix is SMU’s premier A Cappella group! Making music using only voices, SMU Voix is made up of talented singers and vocal percussionists who are passionate about the A Cappella art form. SMU Voix is dedicated to presenting performances of high professionalism and entertainment value to the public, as well as to the SMU community. Amidst striving for excellence, Voix maintains a bond that can be likened to that of a family. SoundFoundry is a CCA for people with a passion for music. We strive to develop our members musically and train them to perform as a band. Our bands perform many genres of music such as rock, pop and even jazz, and they perform at external gigs as well as our very own Unplugged and Starry Nite each semester. Be heard with SoundFoundry! Established in 2001, SMU Music Interactive Club (SMUMIC) is a platform for development and interaction between vocalists and musicians. SMUMIC prides itself in being a forerunner in grooming and managing individuals with a passion for music and singing, performing a wide variety of music ranging across multiple languages and genres. Members hone their skills through regular jamming sessions and vocal lessons conducted in liaison with professional coaches. Ample opportunities for stage exposure and performing experience through both internal and external events contribute to their further development as performers - notably, SMUMIC's Annual Production, which is hosted externally and gives members a chance to perform in a professional setting. Many of these events are held in conjunction or involve collaboration with other performing groups and clubs. In recent years, SMUMIC has also expanded into recording covers and original material. Formed by students with a common love for literature, SMU Literati promotes the expression of literature, in written and spoken form amongst the SMU students. It is a platform for like-minded enthusiasts to express themselves creatively and share their works in a casual setting of mutual respect and open-mindedness. Literati's signature event, LitJam, gathers members for a fun-filled evening of literary discussion and games. Members write and perform their own pieces for an audience to appreciate and comment. SMU Literati also organises Writers' Circles: informal sessions where members can raise ideas and write their own perspective on a chosen them. Through our events, Literati aims to create an exciting and vibrant atmosphere for all the writers, speakers and readers in SMU.